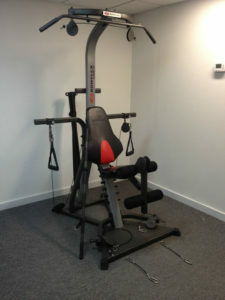 This is a home gym review with a difference. For your convenience, we have looked at a wide variety of top reviewers and drawn together the best recommendations. We have set out the our advice in a way that we believe will help you to set up your own home gym. When deciding to purchase workout equipment for a home gym, there are number of important factors to keep in mind. Two of the most important are your budget and your fitness goals. Before setting out to buy a new home gym, you need to consider how much you’ll want to spend and what kind of workout routine you plan to follow. Click the item in the table below if you wish to skip to the most important issue for you. 1 Our Home Gym Review Analysis. 2 Our Review of a 10 Best Home Gyms List. 3 A Home Gym Review For Serious Body Builders. 4 The Top 5 Home Gyms Recommended in 2015. 5 Best Home Gym Equipment Under $1000. Every home gym review pointed out, there is no one machine that is perfect for everyone. Instead, there are some home gyms that may be better for beginners who want to slim and tone. There are others that are better for serious fitness trainers who want to bulk up and gain strength. 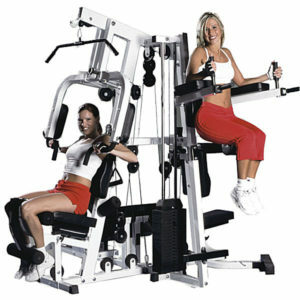 Moreover, home gyms can differ widely in price. Some of them more suitable for either budget or high-end buyers. After an exhaustive examination of the recommendations from top reviewers and customer feedback, it’s been possible to put together a list of the best home gyms for fitness enthusiasts of all levels and at a variety of price points. For your benefit, every home gym mentioned below is linked to a review or to the Amazon page. Follow the links to check out the customer reviews and find the best price and any discounts. Our Home Gym Review Analysis. The best home gym review we looked at was by a former competitive power lifter and gym owner. In his review of the best home gyms of 2016, he picks out 4 all in one workout machines. He believes they should be the starting point for anyone looking to set up their own gym at home. There’s a size and a price for every one. This is recommended as the best choice for advanced trainers and body builders. It offers 330 pounds of resistance and a 125-pound vinyl weight stack. All of them get 4½ stars (out of 5 total), offer a variety of different exercises, and deliver a minimum of 210 pounds of resistance. The difference is really in price. 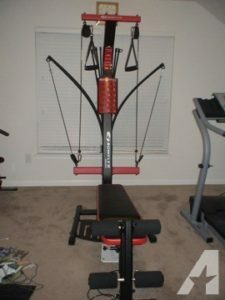 For example, the Body-Solid StrengthTech EXM 2500S sells for over $1000 and the Bowflex PR1000 sells for under $500. Our Review of a 10 Best Home Gyms List. Another quality home gym review ranked the 10 best home gym systems using a variety of factors. The key factors included functionality, design and featured workouts. Again, it’s not just about buying the most expensive home gym, or the one with the most functionality. It’s about buying the one that can best help you reach your fitness goals. A Multi-Station Home Gym. Exercise with a friend. Both the Yukon and the Bodycraft are unique in that they offer workout stations for multiple users at one time. That’s great if you’d like to include a workout partner, but could become an issue if you only have a limited amount of space to set up your home gym. 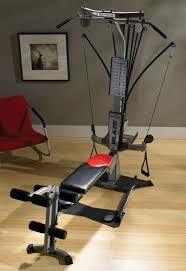 The Bowflex Xtreme 2 SE takes the top spot since it provides more than 70 exercises, and delivers it via its unique power rod technology. This is actually a huge distinction for many home gym buyers. Bowflex machines use power rods instead of weight stacks, and that takes a little time to get used to, but provides great convenience and smooth movement. Given its relatively high price point and variety of different exercises available, it’s best for individuals looking for a complete toning and slimming home gym. It would not necessarily be a first choice for serious fitness fans looking to bulk up. A Home Gym Review For Serious Body Builders. Another review picked out the five best home gyms for serious fitness fans looking to bulk up and add muscle. There are two key brands to keep an eye on when researching options: Powertec and Body-Solid. 3 of the top recommended home gyms are from Body-Solid (Freeweight Leverage, EXM 3000LPS, EXM 1500S). 2 are from Powertec (Workbench Multi System and the Workbench Leverage). Top marks are given to the Powertec Workbench Multi System. It offers over 12 stations and can be used by up to 3 people at one time. It also gets raves for the ability of users to plate-load the resistance rather than using a weight stack. Coming in second is the Body-Solid Freeweight Leverage Gym. This also uses the plate-loading approach, but lacks some of the versatility of the Powertec Workbench Multi System, and can only accommodate 2 people at one time. The Top 5 Home Gyms Recommended in 2015. We also had a comprehensive look at previous years recommendations. Some of these may have been superseded by later models, but are still good value for those on a tighter budget. Taking top honors was the Bowflex Blaze, which also uses the proprietary power rod technology from Bowflex. Also ranking highly was the Inspire M4, (but sadly currently unavailable), the Body-Solid EXM 1500S, the Bodycraft Galena Pro and the Powertech Workbench Multi System. As an alternate to the Inspire M4, which is not available at the moment, but was a strong favorite, we recommend you look at the Marcy MWM 988, made by the same company, and was the subject of our own review. This review has now been updated for 2017. The Bowflex Blaze, which is priced lower than other machines in the Bowflex range, draws top marks for its relatively affordable price tag and broad range of functionality. It comes with 210 pounds of standard power rod resistance and wins raves as a machine for novice gym goers, who most likely want the ability to upgrade their machines as they progress in strength and ability. You can see our review of the Bowflex Blaze here. Best Home Gym Equipment Under $1000. If you’re serious about getting fit at home, it’s possible to set up your own home gym for less than $1000. In March 2016, another review ranked the best home gym options at a variety of budget price points under $1000. Coming in first was the popular Bowflex Blaze Home Gym, which offers 210 pounds of resistance that can be upgraded to 310 and even 410 pounds for true fitness trainers. Gold’s Gym XRS20 won honors as the best cheap home gym for beginners and people who want a lighter workout. There are so many reviews of home gyms out there, simply because there are so many products and so many options. Look for brands and home gyms that routinely show up on all the “best of” lists, such as the machines from Bowflex and Body-Solid. 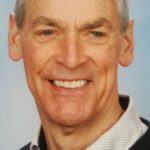 Listen to workout gurus and fitness experts who have experience using a wide variety of machines for a broad range of users. Pick a home gym that’s optimized for your workout routine and that’s within your budget, and you’ll reach your fitness goals sooner than you ever thought possible. We hope you have found this home gym review exactly what you needed and are excited about getting your gym set up and shaping up your life. Scroll back up now and find the price and benefits that is right for you and grab the great discounts on offer today.